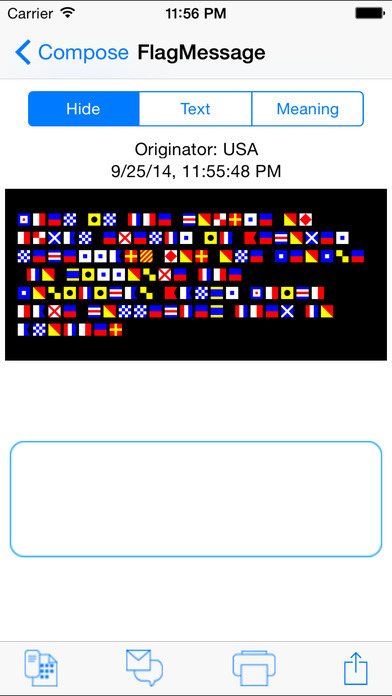 Signal Flags Communicator enables a unique form of communication using flag images. 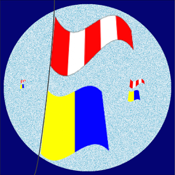 It is both a training aid to those wanting to learn to recognize the flags of the International Code of Signals, and an app to support and ensure privacy of communications, immediately, for anyone, with or without knowledge of the flags. 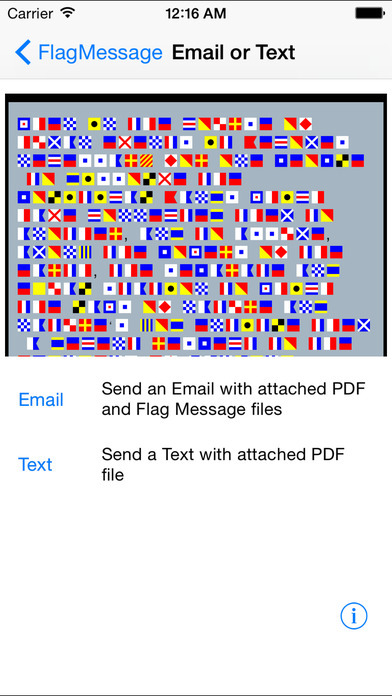 In operation, Signal Flags Communicator instantly translates written or spoken (via Siri) text into corresponding flag images, constructs a graphic representation of the text, and a proprietary FlagMessage file. 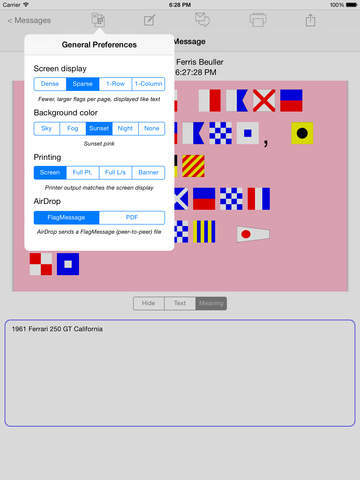 Once the composition is complete, the graphic (PDF) image can be sent via email or text, and is printable on any AirPrint capable printer. 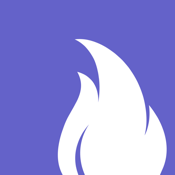 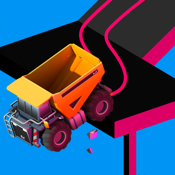 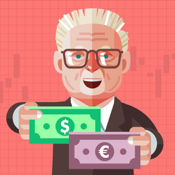 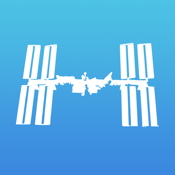 The FlagMessage file, which is simultaneously created, is intended for peer-to-peer communications via AirDrop or email attachment. 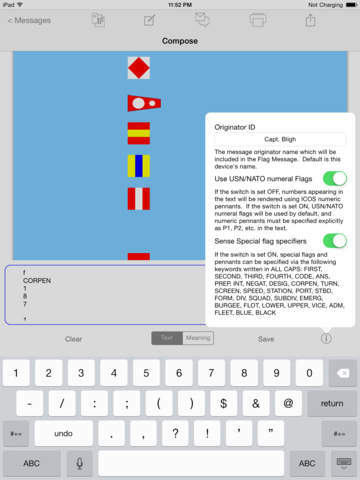 Recipients of the FlagMessage file, as peers, can use their own Signal Flags Communicator app to translate and interpret the message when received, and save it locally on their device. 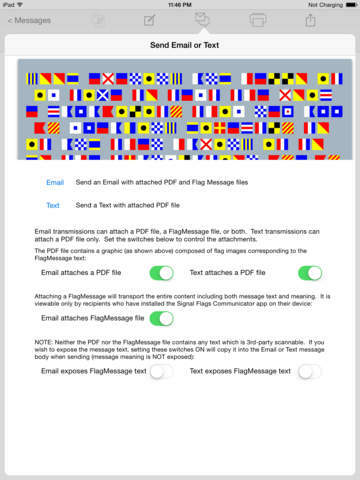 Since neither the PDF nor the FlagMessage file contain any scannable text, the communication is resistant to any text scanning by 3rd parties. 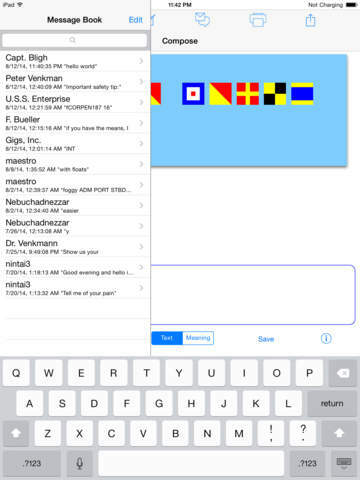 When transmitted via AirDrop, communications are secure and directly from one device to another, with no 3rd party involvement.